The biggest, longest, wildest birdwatching tournament in the U.S.! 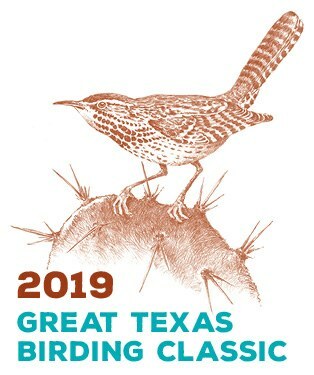 Birders of all ages and levels of experience are welcome to join this Texas birdwatching event during the amazing spring migration. There's a tournament category for everyone - from the beginning backyard birder to the competitive lister! Gather your team, register, and go birding - it's truly that simple! How to Participate gives you a step-by-step guide to help your team during the tournament. Visit Tournament Advice tips on mentoring youth teams, advice from former winners on how to run a successful Big Day or the Weeklong tournament,and pointers on birding with blind or visually impaired birders. To increase appreciation, understanding, and conservation of birds through education, recreation, nature tourism, and conservation fundraising.